Ah, pizza; so simple and yet so delicious. But where did this dish originate from? 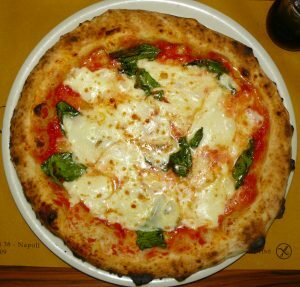 Invented in the 18th century, the true and original pizza, that today has many interpretations, came from Naples. 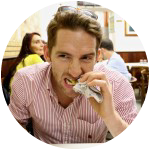 So with so many pizzerias in Naples, how do you know which ones are the best? 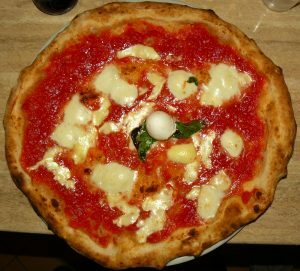 Let’s preface the following list of pizzerias in Naples by saying that it’s difficult to get bad pizza in Naples. 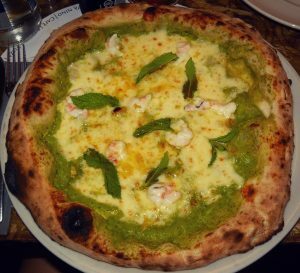 The following pizzerias are exquisite and sure to dazzle you every time. In 1936, Gaetano Esposito had his own bakery. The amazing scent of his freshly baked bread would wake everyone in the entire district up at dawn. From the nearby narrow streets, women came out of their homes to get a piece just out of the oven. Among the most beautiful of these women was Sofia, every Neapolitan man’s dream. In her honor, Mr. Esposito’s grandchildren, Gaetano and Marco Zarelli, named their pizzeria, that was founded in 2012, after her. Their desire was to bring back the same irresistible fragrance to its original location. This place gets an A+ for salt to tomato ratio in their sauce. They add just the right amount to the tomato to bring out its amazing flavor. Just perfect. ingredients used but how you handle them. Gigione said that a good forearm is key in tomato preparation because tomatoes must be squeezed manually. He told us that anyone who uses any type of blender to create the tomato sauce doesn’t know jack. That’s because blending tomatoes with the seeds still inside makes the tomatoes bitter, which is a definite no-no. For an amazing pizza from a place that is dedicated to a good quality product, this is the place for you. Worry not though; there is a solution to avoid all these service snafus and still get a delicious Di Matteo pizza quickly and efficiently. They’ve got a to-go counter right at the entrance where you can order your food and it moves very quickly, so you can order what you want and go! of-this-world. I had the opportunity to talk with the owner, Vincenzo Di Prisco and he told me that it is very important that not only the ingredients used for his pizza be delicious and of good quality, but also that the dough be highly digestible. To ensure this, the pizza dough is left to rise over 36 hours and is 60 percent hydrated. 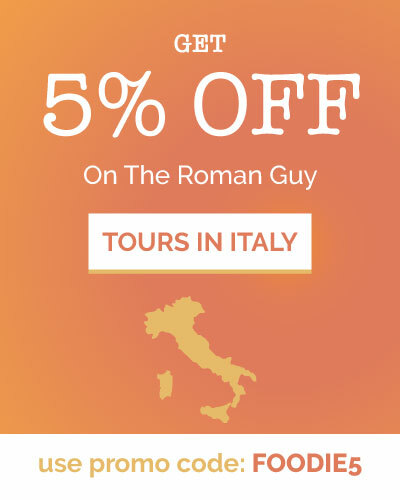 The menu rotates every six months so be sure to try the “La Zucca” pizza in the Fall/Winter and the “La Vialdo” in the Spring/Summer. Two thumbs way up! owned in the movie. This isn’t what makes Starita special though. With over 110 years of experience in the business and four generations of family keeping it running, starting as a cellar for tastings and evolving eventually into a pizzeria; then, finally going one step further and expanding to include locations in New York and Atlanta, you can be sure you won’t regret it if you stop in for a delicious pie. 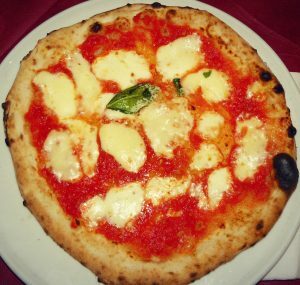 Next time you’re in Naples be sure to stop by one of these amazing pizzerias. Come taste pizza the way nature intended it: the Neapolitan way…Happy eating!